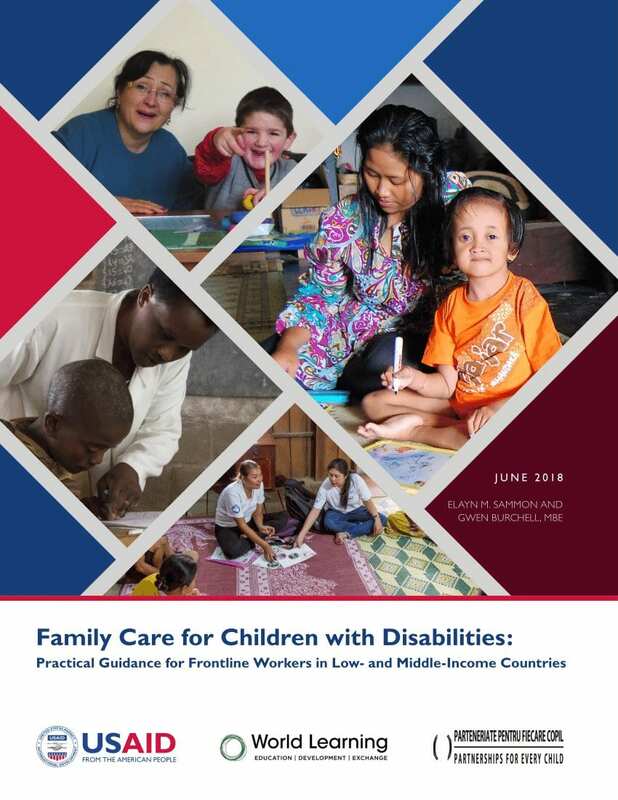 12 November 2018 // The “Family Care for Children with Disabilities: Practical Guidance for Frontline Workers in Low- and Middle-Income Countries” is a document created thanks to the collaboration of different experts in the field of childhood disability. The Guidance is intended to promote a case management approach which has shown to have good results, giving social service workers the right information in order to organize the support of children with disabilities and their families. The main goal is therefore to make sure that children with disabilities have the same opportunities to grow as their peers. After a brief introduction section, the document is divided into two main different parts, one focused on “understanding disability” and a second part on “case management”. In order to promote the understanding of rights of children with disabilities, the Guidance starts from the United Nations Convention on the Rights of the Child (UNCRC) and the United Nations Convention on the Rights of Persons with Disabilities (UNCRPD). The second part is focused on providing useful information about how to work with children with disabilities, also featuring different real life stories of children with disabilities from all over the world. The Practical Guidance can be downloaded here.